Harman has said “I like the viewer to be involved at every level; conceptually, technically and physically”. His work is based on elements of performance, and an engagement with found materials and environments, even if that performance - and the spectator’s role within it - often remains unseen, until revealed by the final object. In what he has described as a desire to “reintroduce people to the real” Harman confronts the territory between the act of creation and the act of experience, by linking the art and the audience by leaving behind a quiet transformation so that nothing appears to be different, even if everything has subtly changed. Harman works across various media. His paintings, sculptures, prints, photographs and drawings act as trophies of the creative process, giving us cause to consider the act of making as equally as important as the end result. In an ongoing series of works (Skips I-XIII, ongoing) Harman seeks out a skip or dumpster on a Friday night - full of the week’s rubbish from a building site - after the labourers have clocked-off for the weekend. Working tirelessly for the next 48 hours, Harman sorts and categorises the detritus by colour and material and carefully returns the contents to the skip, accordingly arranged into oddly formal and often beautiful sculptures. The point of his herculean endeavour is not just the sculpture that results but the reveal; the moment when the building crew returns on Monday morning to see their, supposedly familiar, environment transformed into something that defies explanation, and which in due course they will have to destroy in order to continue working. In another provocative, performative work, Love Thy Neighbour (2008) Harman ‘borrowed’ the doormats from outside the front doors of tenement buildings, and rearranged them, Carl Andre style, across the central sculpture court of Edinburgh College of Art. 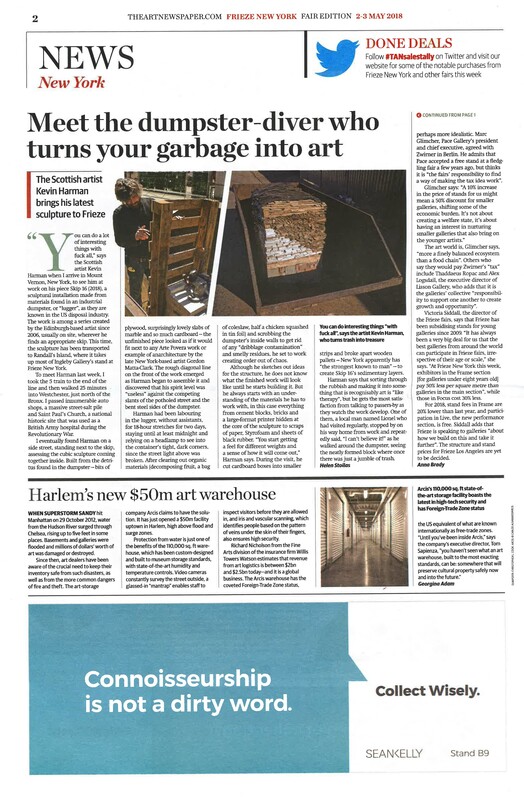 He then invited the 210 residents to visit the installation, reclaim their property, and in so doing to meet their neighbours – themselves becoming an unwitting participant in the work’s creation and an active and complicit part of its destruction. In a new series of intensely physical paintings/objects Harman manipulates discarded double-glazing units and found household paints; workaday industrial materials which are wrestled into unpredictable and subtle new forms. These objects subvert their formal and stylistic cues through a hard-fought process. The resulting compositions are determined as much by the scale of the glass units Harman happens to find, and the often unpredictable interaction between the leftover paints he injects into the cavities, as by any deliberate action of the artist. In making these objects of unexpected beauty Harman also challenges the understood purpose of his found materials. The window unit, originally designed and manufactured as something to look through, becomes an object to be looked at. The solo exhibition of new glassworks No Man's Land was presented by Ingleby Gallery in Spring 2016. 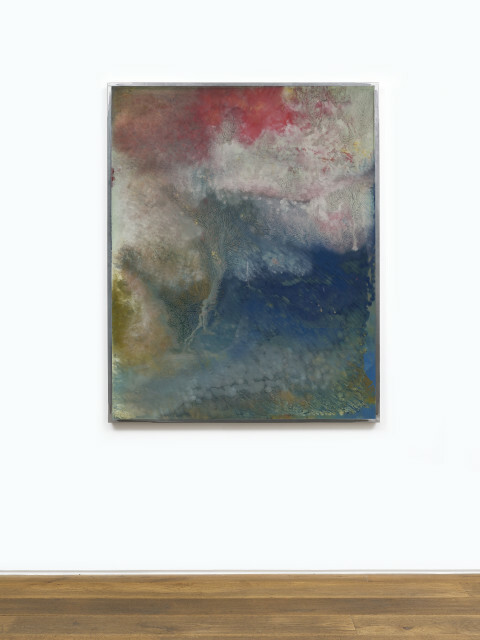 Ingleby presented a major solo exhibition of works by Kevin Harman at Frieze New York in 2018.